This summer I’ve been trying to lighten up on the ice cream and milkshakes while still finding frozen and sweet treats to enjoy. 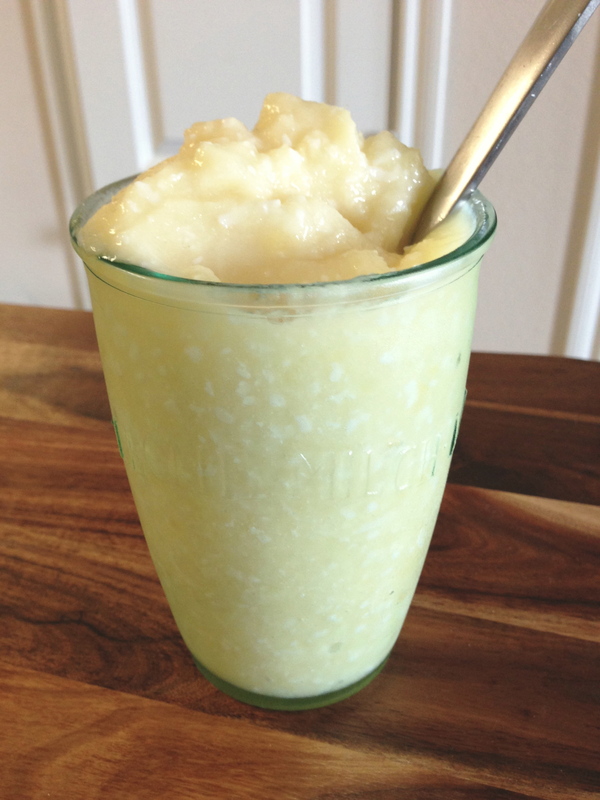 This smoothie is just the thing to satisfy your sweet tooth! It’s completely dairy-free and sweetened with natural ingredients! 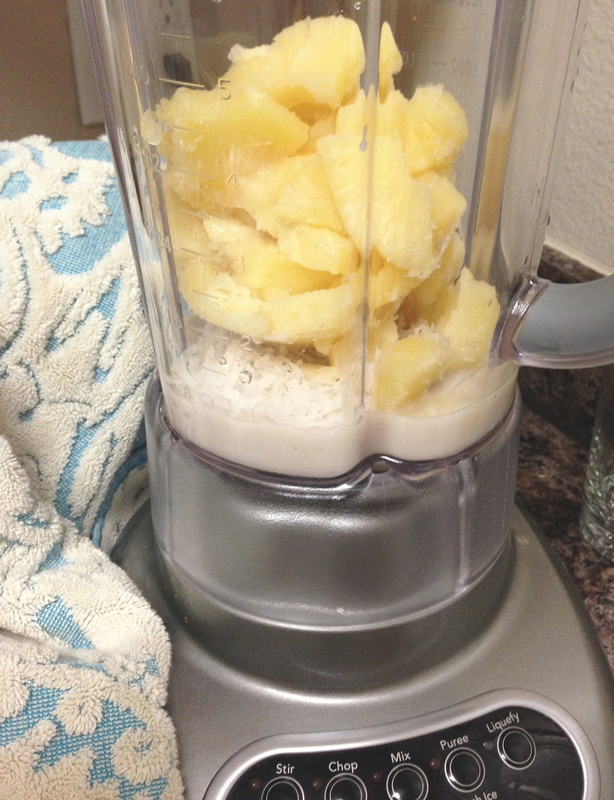 Leave out the coconut (if you’re not a fan) for a simple and delicious pineapple shake! Cut pineapple into chunks and then pop them in the freezer overnight. 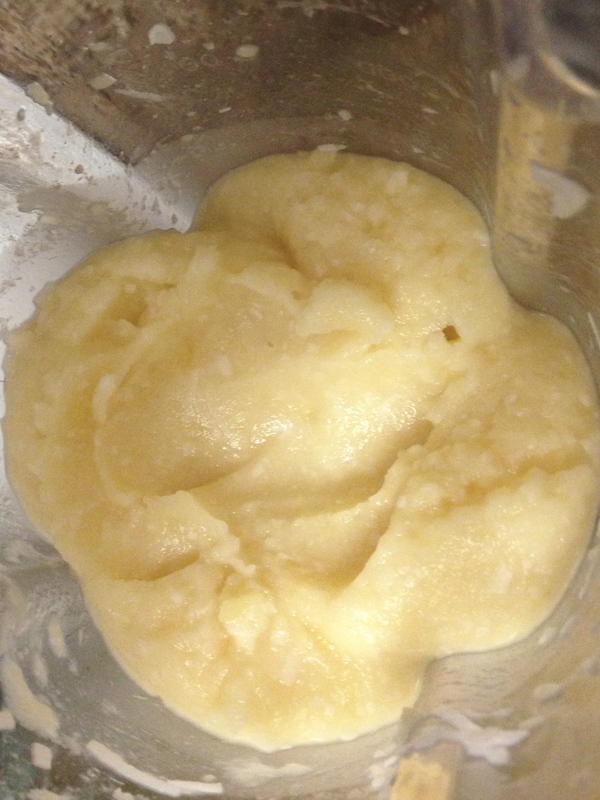 When you’re ready to make your smoothie, pull pineapple from the freezer and place in a blender. Add coconut and almond milk and blend until smooth. Taste and add honey if you want a little extra sweetness. Add extra almond milk if smoothie is too thick… or serve the smoothie with a spoon as a healthy soft serve treat! What are your favorite flavor combinations for smoothies? It’s a great treat, I hope you try it! I just made this and it is delicious! I love using tropical fruit mix with water flavor packets and water. It adds that sweet taste without all the added sugars. Works wonders, thanks for sharing!